Funeral Services to honor Robert are scheduled for Wednesday, November 28, 2018 at 10:00 am the Victory Baptist Church, 2890 N. Townsend, Montrose, with Pastor Jim Welch officiating, with burial to follow at Grand View Cemetery west of Montrose. 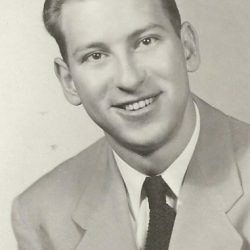 Robert E. Kirk, Montrose resident for the past 26 years passed away, November 20, 2018 at the age of 88. Robert was born on August 20, 1930 in Hammond, Indiana to Charles William and Margaret H. (Collins) Kirk, spending his childhood in Chicago, Illinois. Robert married Phoebe J. Miller on December 28, 1970 in Fort Worth, Texas; where they made their home for many years before moving to Montrose. Robert worked as Railroad Auditor and Accountant. He was also a very active member of the Victory Baptist Church in Montrose. Robert was known as a gentleman & scholar of the highest measure of a man. A genuine character of love, kindness, and integrity. He loved everyone and despised none. Daughters, Mickey Holcomb of Weatherford, Tx; Lana Driggers of Montrose; Laurie Parrish of Cleburne, Tx; as well as his brother Chuck Kirk, of St. Paul, Minn. Robert is also survived by 9 beautiful grandchildren and 14 precious great grandchildren. 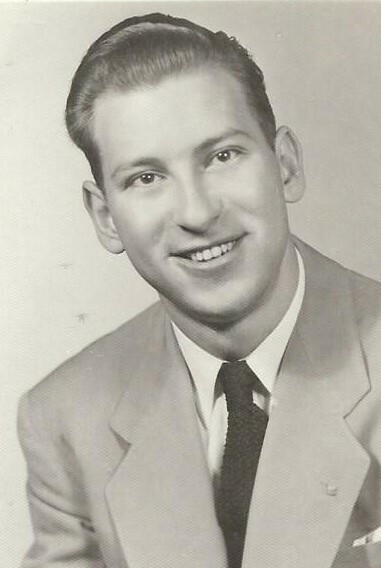 Robert is preceded in death by his parents, as well as his brothers Don Kirk and Richard Kirk. Funeral Services to honor Robert are scheduled for Wednesday, November 28, 2018 at 10:00 am the Victory Baptist Church, 2890 N. Townsend, Montrose, with Pastor Jim Welch officiating, with burial to follow at Grand View Cemetery west of Montrose. Crippin Funeral Home is assisting the family.